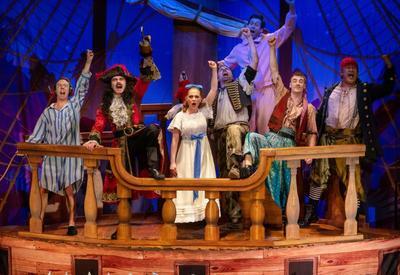 Hot on the wobbly heels of the box office hit The Play That Goes Wrong, Mischief Theatre brings its triumphant disaster Peter Pan Goes Wrong from London’s West End to Australia, stumbling into the Playhouse, Melbourne. The cast of the Cornley Polytechnic Drama Society battle against technical hitches, flying mishaps and cast disputes with hilarious and disastrous results. Will they ever make it to Neverland? Leading the cast of incredibly talented actors is JAY LAGA’AIA. Jay is well known internationally for his role as Captain Typho in StarWars: Episode II Attack of the Clones and Star Wars: Episode III Revenge of the Sith. Jay is also one of Australia’s favourite musical theatre stars, having played the principal roles of Mufasa in the hit musical The Lion King, the Wizard in Wicked and Judas in Jesus Christ Superstar. 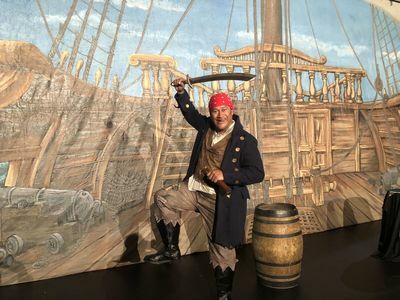 He is also known for his television roles in Home and Away, Xena: Warrior Princess, Water Rats and Play School and as a contestant on Celebrity Big Brother. 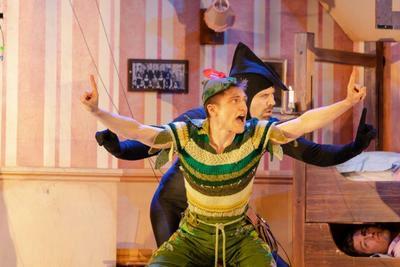 Peter Pan Goes Wrong is co-written by Mischief Theatre company members Henry Lewis, Jonathan Sayer and Henry Shields and includes highly physical comedy packed with finely- tuned farce and Buster Keaton-inspired slapstick, all delivered with split-second timing. 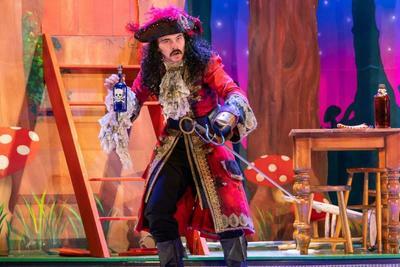 Peter Pan Goes Wrong is currently playing sell-out seasons across New Zealand and will arrive in Melbourne before heading off to Brisbane, Canberra, Sydney and Perth.